* February 2015 - Kelly Chang Rickert on the SuperLawyer list - 8 years!!! quoted by Hollywoodlife.com on Kris/Bruce Jenner Divorce and Khloe/Lamar Divorce. Media. KCR Legal Analyst guest appearance on Graham Ledger Show. 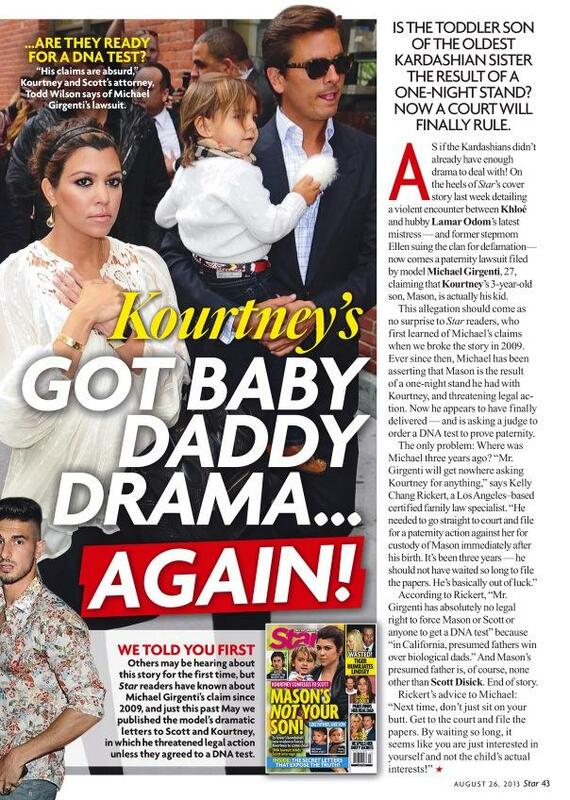 * November 2014 - KCR quoted in Star Magazine re: Khloe and Lamar's Divorce. 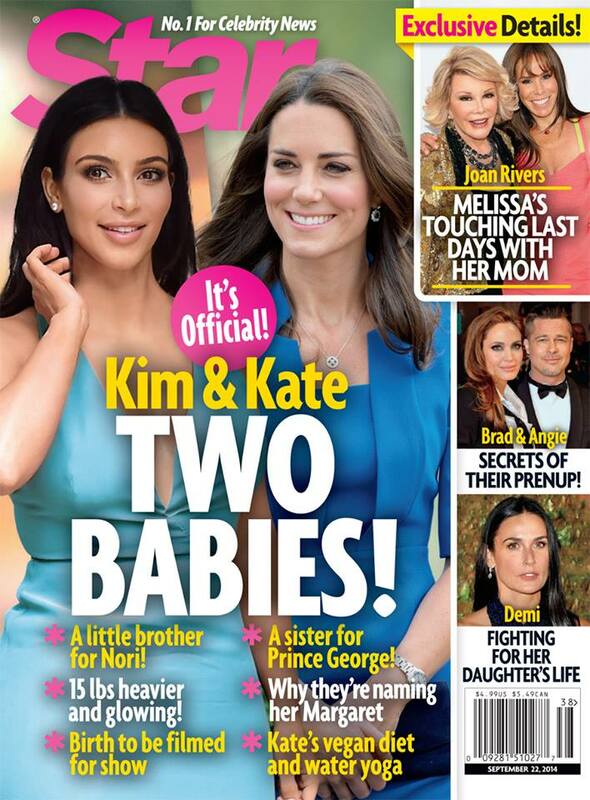 * October 2014 - KCR quoted in Star Magazine about Brad and Angie's prenup. * September 2014 - Kelly Chang Rickert quoted in Women's Health Magazine re: Prenups. * August 2014 - Why Kelly became a family law attorney, as discussed on Women's Radio. * July 2014 - Kelly Chang Rickert is named "Rising Star" by SuperLawyers magazine - 7th year! * June 2014 - Kelly quoted by Daily Beast on pet custody. keep the Clippers, and OMG Insider to discuss Sheri Shepard's custody battles. * April 2014 - Kelly discusses amicable divorces on Inside Edition re: Gwyneth Paltrow divorce. 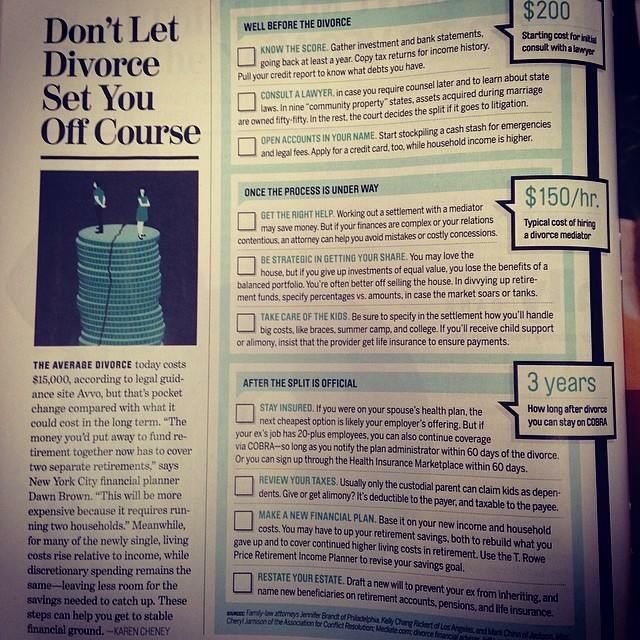 * February 2014 - Kelly discusses lifestyle/cheating clauses in prenups in Forbes. * January 2014 - Happy New Year! Kelly quoted in Star Magazine, page 36. * November 2013 - Kelly Chang Rickert on OMG! Insider re: Charlie Sheen custody battle. and in Reuters re: Dividing Property in Divorce. possible divorce on OMG! Insider. 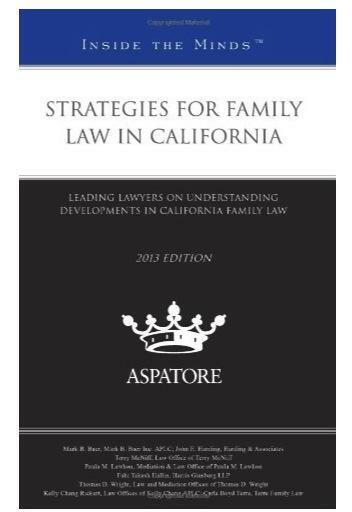 Strategies in Family Law, 2013. Available on Amazon.com. * April 2013 - Kelly Chang Rickert discusses Kim Kardashian's never-ending divorce on OMG! * March 2013 - The Long and Short of why Kelly Chang Rickert became a divorce attorney. relationship advice by Kelly Chang Rickert. Law Practice for Paralegals: Handling Financial Issues at a Higher Level. case on CBS's The Insider. "67 Conservatives You Should Meet Before You Die", by Burt Prelutsky. * September 2012 - Divorce and Family Law Blog is named Top Legal Blog. appears on Inside Edition re: Prenups and Quick Settlement in Cruise/Holmes Divorce. 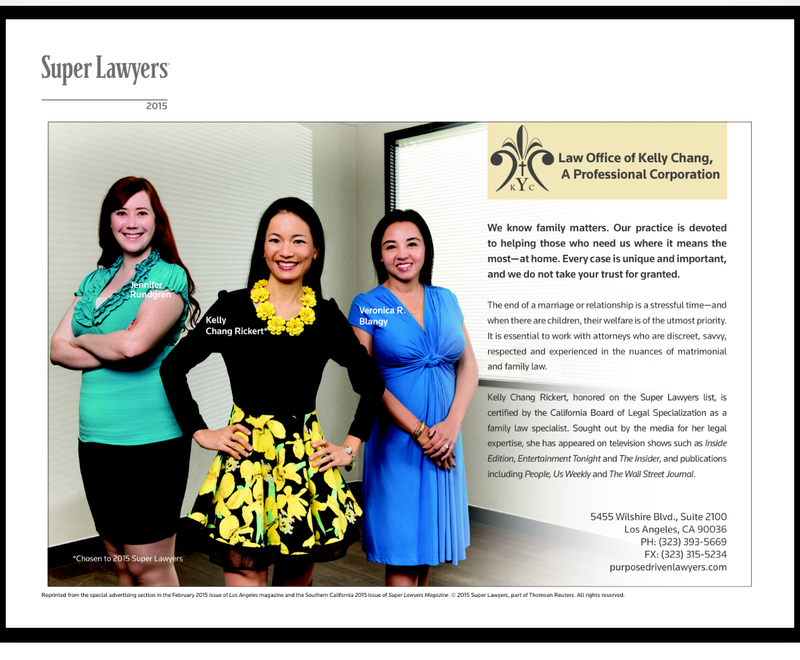 * June 2012 - Kelly Chang Rickert in SuperLawyers 2012. * May 2012 - Kelly Chang Rickert quoted on Teen Mom Jenelle Evans' Custody Rights. * April 2012 - Kelly Chang Rickert quoted on Johnny Depp and Vanessa Paradis' Split. * March 2012 - Kelly Chang Rickert on E! True Hollywood Story: Biggest Scandals Ever, premiers March 19, 2012, 10 am on E! * January 2012 - Happy New Year! CFLS Kelly Chang Rickert on Inside Edition re: Kobe Bryant's Divorce. * December 2011 - Kelly's advice on "How to Protect Yourself From Insurance Revenge." * August 2011 - Kelly Chang Rickert emphasizes importance of Joint Custody. * July 2011 - Kelly Chang Rickert shares her experiences as a Judge Pro Tem, featured in SuperLawyer's Article, "The Robe". * June 2011 - Kelly Chang Rickert in SuperLawyers 2011. * March 2011 - Kelly Chang Rickert discusses the legality of cruise-ship weddings. * February 2011 - Why is Valentine's Day a big day for divorce? Kelly Chang Rickert explains to the New York Post. * January 2011 - Happy New Year! NPR's Marketplace Money interviews Kelly Chang Rickert in "Financially Preparing for a Divorce". Certified Family Law Specialist to handle your case. * November 2010 - Law Offices of Kelly Chang's Divorce and Family Law Blog earns Top Award. and represent yourself. Be sure to check out our Divorce and Family Law Blog, updated weekly. * August 2010 - Certified Family Law Specialist Kelly Chang Rickert appeared as legal expert on Style Network's 1-hour Special: "The Dish Presents Surviving a Bad Romance", 8/22/2010, 8 PM PST. In case you missed it, enjoy this clip. * July 2010 - Kelly Chang Rickert comments on Mel Gibson domestic violence case on "Inside Edition". * June 2010 - Firm celebrates over a decade of excellence! Kelly Chang Rickert once again named "Rising Star" by SuperLawyers and Los Angeles Magazines. * April 2010 - Attorney Chang Rickert quoted in Hollywood Life on Sandra Bullock's rights as a stepmother. * March 2010 - Divorce Law 101 with Ms. Kelly Chang Rickert. * February 2010 - Kelly Chang Rickert quoted in La Opinion. See translated article, "Couples United Only by the Crisis". * January 2010 - Happy New Year! We are saddened by the tragedies in Haiti. To aid in relief efforts, Law Offices of Kelly Chang will contribute 25% of all attorneys' fees received this month to the American Red Cross. * November 2009 - Divorce and Family Law Blog selected as one of Top 100 Legal Blogs! * October 2009 - Law Offices of Kelly Chang opens new location in beautiful Atwater Village! Come visit us at 3171 Los Feliz Blvd., Suite 303, Los Angeles, CA 90039. We also have locations in Larchmont Village, San Francisco and San Diego. * September 2009 - Mrs. Rickert in upcoming documentary about marriage. Please support American Marriage: The Movie, a documentary film by Mike Flanagan and Courtney Bell. * August 2009 - Kelly Chang Rickert discusses child support and Jude Law in London Evening Standard. * July 2009 - Kelly Chang Rickert in California Lawyer. * June 2009 - Kelly Chang Rickert is once again named a Rising Star Family Law Attorney by SuperLawyers and Los Angeles Magazine. * May 2009 - Kelly Chang Rickert sits on panel of AVVO experts. * April 2009 - Kelly Chang Rickert on American Bar Association's article Family Law and Marketing. * March 2009 - Kelly Chang Rickert quoted on Association of Certified Family Law Specialist website. * February 2009 - Divorce360.com's divorce calculator. Expert Kelly Chang Rickert discusses red flags. * January 2009 - Happy New Year! Kelly Chang Rickert is quoted by European newspapers in article "Divorce and the Economy". See English translation. * December 2008 - Kelly Chang Rickert quoted in article "Divorce and the Economy". * November 2008 - Kelly Chang Rickert emphasizes the importance of paying child support, even in a bad economy. See article, "Going to Court for Child Support" on Divorce360.com. * November 2008 - Kelly Chang Rickert emphasizes the importance of paying child support, even in a bad economy. See article,"Going to Court for Child Support" on Divorce360.com. 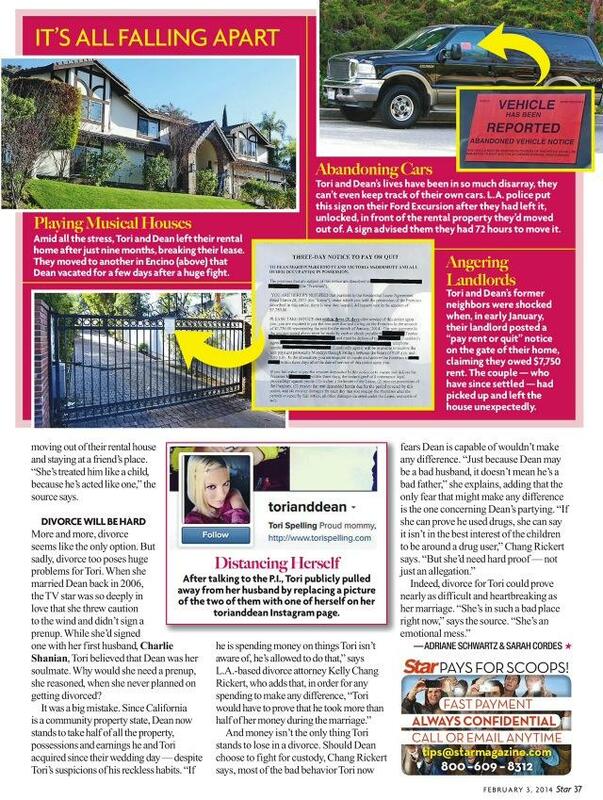 * October 2008 - Kelly Chang Rickert quoted in GALA Magazine about Sharon Stone's custody case. * September 2008 - Kelly Chang Rickert shares insight on prenuptial agreements. See article, "Strange Prenuptial Agreements"on Divorce360.com. * July 2008 - Kelly Chang Rickert discusses Christie Brinkley's divorce tactics with Chris Harrison on Hollywood 411. * June 2008 - Kelly Chang Rickert is named a Rising Star Family Law Attorney by SuperLawyers and Los Angeles Magazine. * May 2008 - Kelly Chang Rickert discusses Britney Spears' latest findings with Chris Harrison on Hollywood 411. * April 2008 - Kelly Chang Rickert gives expert commentary on taking divorce public on You Tube. * March 2008 - Kelly Chang Rickert in LawyersUSA lead story. * February 2008 - Kelly Chang Rickert is TV Guide's legal expert on Britney Spears' case. * January 2008 - Happy New Year! More Britney Spears commentary by Attorney Kelly Chang Rickert on TV Guide, "Hollywood 411". * December 2007 - We wish you a happy and safe holiday! Attorney Kelly Chang Rickert on Wikipedia. Attorney Chang Rickert passes California Board of Legal Specialization exam for Family Law. * November 2007 - Kelly Yi-Yi Chang's new legal name is Kelly Chang Rickert. * October 2007 - Kelly Y. Chang speaks on Britney Spears' custody case on MTV. * September 2007 - Law Offices of Kelly Chang moves to new address at 5455 Wilshire Blvd., Suite 2100, Los Angeles, CA 90036. * July 2007 - Attorney Kelly Chang is selected as VideoJug's legal expert on Alimony and Child Custody Law. * June 2007 - Attorney Kelly Chang attends American Academy of Matrimonial Lawyers Institute for Associates in Chicago. * May 2007 - Law Offices of Kelly Chang on YouTube. * March 2007 - Attorney Kelly Chang on NBC's Your LATV. * November 2006 - Attorney Kelly Chang appears as guest star on exclusive Los Angeles radio show to discuss family issues. To listen, click here. * October 2006 - Attorney Kelly Chang receives Custody Match Certified Attorney membership. Custody Match is an online service that helps consumers find prescreened divorce lawyers and family law attorneys in Southern California. * September 2006 - Attorney Kelly Chang's jury trial appears in Verdict Search. 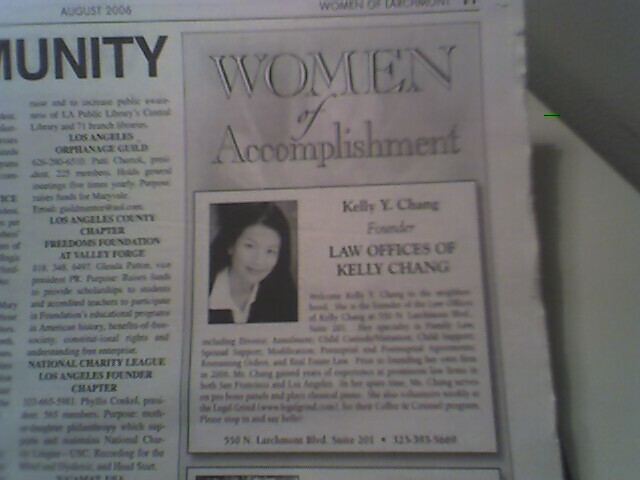 * August 2006 - Attorney Kelly Chang appears in Larchmont Chronicle as a Larchmont Village "Woman of Accomplishment"
* June 2006 - Attorney Kelly Chang on Lisa's It-List, CBS. Got a small legal problem? Don't know where to find a lawyer? Clickhere to see Attorney Kelly Chang's counseling schedule at the Legal Grind.